Welcome back, Donist World Denizens! For those of you new to our site, I’m Donist, and I am joined by Donist World CFO the Reverse Obie* (my friends’ Boston terrier whose fur recently swapped colors) and by our marketing director/administrative assistant/party planner/vacation lover Tulip (my dog, Reverse Obie’s sister). Welcome back, Denizens. The puppies, Amy the intern (my wife), and I all just got back into town after spending four days in Ojai. Tons of good beer, good food, and plenty of reading comics by the pool; I’ll get to those someday in the future. That said, this weeks intro is short short short. Anyhow, binge watch some Luke Cage Season 2, be kind to each other, mind your health, keep your pets safe, cherish the ones you love, hydrate, and read some great comics. Thank you for reading! If you have not heard of Batman: The Dark Knight Returns by now, then, to quote Public Enemy, “I can’t do nuttin’ for ya, man.” Just kidding. In fact, I kinda envy you being able to read this monumental piece of comic book history for the first time. Although written as a response to the Cold War, many of the themes should resonate with those suffering through the lies of #45 and the evils he and his lackeys are enacting. TDKR picks up with a much older and retired Batman as he realizes the world has become a darker place in his absence pervaded by hopelessness and despair. With Superman now the poster boy of the government, Bruce Wayne once again dons the cape and cowl intent on righting the wrongs where he can…if only the rigors of age and decades of physical abuse will let him. TDKR is the real deal, Denizens, and it is required reading at least once every two or three years. It is also the first “Prestige Format” comic in that it is square-bound, has a cardstock cover, has higher quality paper for the interior that allowed more elaborate colors, is twice as long as normal comics (52 pages), it has more mature subject matter, and also had a higher price tag. Batman: The Dark Knight Returns is a vital and historical comic book on every front. You can pick up all four in collected form. Prior to this fantastic limited series, I never would have considered myself a Green Arrow fan. I always liked the character and always thought he was cool despite having a goofy costume and no real powers, but The Longbow Hunters changed my preconceptions right quick. After being blown away by The Dark Knight Returns, the follow-up Prestige Format offering of The Longbow Hunters immediately caught my eye with the gorgeous Grell cover and the promise of yet another great comic. Gone are the goofy costume and trick arrows. Gone are the doofus ne’er-do-wells. In are the drug dealers, real arrows, government cover-ups, and the complexities of being in a relationship with a fellow crimefighter. I have to admit to having a bit of a blind spot when it comes to Grell’s other work (Jon Sable Freelance, Starslayer, and The Warlord) which I hope to remedy in the coming years, but it has been far too long since I last read Green Arrow: The Longbow Hunters series; I’m about due for a reread. All three issues have been collected. Speaking of blind spots…Tim Truman. Yeah, I don’t think I’ve read anything by the man, which is a huge error on my part. My bad, Denizens. My bad. Another Prestige Format comic from DC and one that is lauded by comic fans, which means I need to finally get on this book ASAP! Without spoiling anything for myself, I believe this series doesn’t even feature Hawkman or Hawkgirl, and instead focuses on their planet Thanagar, a place ravaged by racism, drugs, and indifference (wow, sounds like today, only thirty-years earlier). I figure once I tackle this short series, I’ll look into his Grimjack, Scout, and Jonah Hex runs so I can become a more well-rounded comics fan. Hot diggity dog, there’s a collection for this one, too! Dang, Marvel struck gold with some of their earlier X-Men minis, and I guess they figured they should give each character their own shot at carrying a limited series; hence, Nightcrawler. Now, don’t get me wrong. I like this series overall. It’s fun. It’s campy. It’s lighter than what you would expect from a major character in The Uncanny X-Men, but after getting used to Claremont and Cockrum’s phenomenal run, this one was a little too cheesy for my taste. That said, Nightcrawler is still worth checking out, especially when you need to lighten the mood of the bleak happenings in the main series. (Written by J.M. DeMatteis, illustrated by Al Kupperburg and Mike Gustovich, published in 1984 by Marvel Comics) Yeah, this one is not one of my favorites, but for the sake of being thorough, I have to mention it. This is not to say it’s bad, it just wasn’t for me. I don’t remember it all that well when I first read it back in the day, and my recent rereading didn’t capture me as much as I would hope. It’s quite possible I was in a mood. Anyhow, if you are a fan of Bobby Drake, it might be worth checking out. (Written by Ann Nocenti, illustrated by Don Perlin, inked by Kim DeMulder, published in 1984 by Marvel Comics) Definitely not for me. This miniseries is a continuation of the Marvel Graphic Novel Dazzler: The Movie, which I disliked immensely; let’s leave it at that. As for Beauty and the Beast…not my cuppa. Again, just being thorough. If you want both the mini and the OGN in one book, then you can get the hardcover volume. Okay, let’s bring us all back up with something I do like and that I really need to reread again in the very near future. Now, I’ve always been a fan of The Avengers and those issues that introduced The Vision and that featured Captain Marvel are magical, but again, Avengers has decades of continuity and countless classic storylines just begging to be read. So what’s a kid to do? Easy: pick up the miniseries about a new team of Avengers who operate on the West Coast! Here we get Hawkeye, Wonderman, Iron Man, Tigra, and Mockingbird, facing off against all sorts of cool threats, including Count Nefaria. 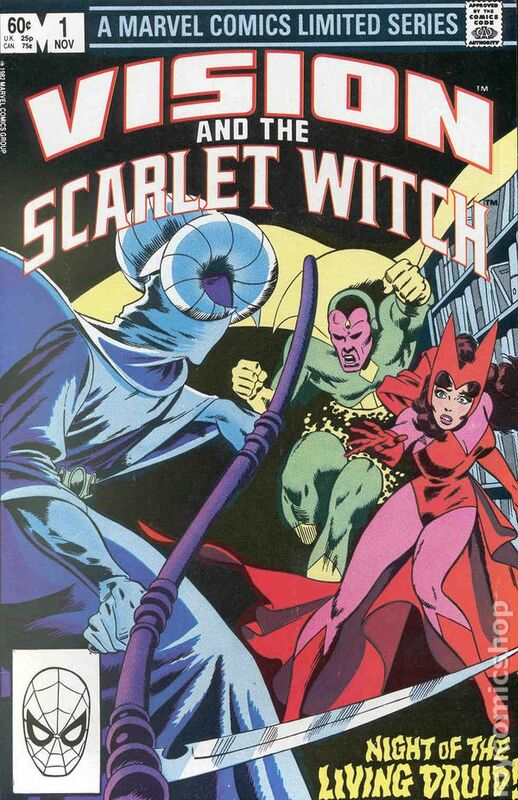 Heck, this mini was so popular Marvel kicked down a new series that ran for 102 issues and 8 annuals that eventually became titled Avengers West Coast and featured John Byrne on writing and art. The mini, however, is where it all started. A comprehensive collection titled Avengers West Coast Epic Collection: How the West Was Won comes out late September 2018 and I will definitely be getting it. I never read this. Every time I saw it on the shelves I wanted it, I just never got it…until this last week. Vibrant, striking art with cool beasts, a kickace hero, and a story I’m sure will rock my socks off on the weirdness scale. I hope to have read this one by next week. I can’t wait! (Written by Robert Loren Fleming and Keith Giffen, illustrated by Keith Giffen and Bob Oksner, published in 1985 by DC Comics) I know next to nothing about Ambush Bug. I totally remember seeing this issue on the stands and I remember some of my friends saying how funny it was, but I never picked it up. Ambush Bug was a thing back in the day, and I guess it’s high time I figured out what all the hullabaloo was about. Man, I loved this limited series when it was coming out and I love it every bit as much today. Although the Punisher had been hanging around in other characters’ books for many years, this is the series that saw him taking the lead before graduating to multiple series of his own. 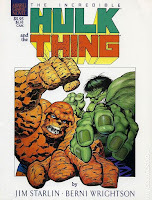 Mike Zeck’s art is gorgeous and I distinctly remember staring at his covers trying to understand how he, with Phil Zemelman’s painting, made such lovely art. The story is intense and heavy and pits Frank Castle against the mob, Jigsaw, and the Kingpin. Do yourself a favor and read the book that kicked off the Punisher-mania that refuses to quit. There are some collections of this fine series out there, but a massive Punisher Epic Collection: Circle of Blood comes out at the end of 2018! Well, Denizens, I just got back yesterday from a short vacation in lovely Ojai and I think Tulip and I need to relax from our relaxing. So, we’re going to briefly cover our reading list this week with four comics that were freaking out of this world! Descender #31 (Written by Jeff Lemire, illustrated by Dustin Nguyen, lettered and designed by Steve Wands, published by Image Comics) Holy smokes, Denizens! I don’t know what to think. I preach my love for this series often and I preach it loud, and this issue is so dang good as TIM-21, The Hardwire, The Harvesters, and the Gnishians all arrive at the battle to end all battles. The crazy thing is that this issue says “To be concluded” and an ad for #32 says “Final Issue.” I don’t know if July actually marks the end of Descender, but I will be a bummed Donist if it does. Dang, such a great series. VERY HIGHLY RECOMMENDED! Saga #53 (Written by Brian K. Vaughan, illustrated by Fiona Staples, lettered and designed by Fonografiks, published by Image Comics) What are Vaughan and Staples trying to do to me?! Criminy! I’m not going to spoil a thing. Just know that this is one of those gut-punch issues that leaves your jaw on the floor. Saga remains great as ever. VERY HIGHLY RECOMMENDED! Venom #3 (Written by Donny Cates, illustrated by Ryan Stegman, inked by JP Mayer, colored by Frank Martin, lettered by VC’s Clayton Cowles, published by Marvel Comics) Marvel pulled me back in with this comic which I decided to read purely off of Cates’s tremendous ability to tell a captivating-as-hell story, which he continues to do with this third issue. Stegman’s art is a powerhouse of design and storytelling and demands you linger on every page to take it all in. I’m with Venom for as long as these creators remain on it. This month, Venom and Ultimate Spider-Man team up to stop a symbiote dragon that is more than it appears. Much more. VERY HIGHLY RECOMMENDED! The Terrifics #5 (Written by Jeff Lemire, illustrated by Doc Shaner, colored by Nathan Fairbairne, lettered by Tom Napolitano, published by DC Comics) Yeah, I’m still loving DC’s four fantastically forced-to-work-together heroes as they try to work through their personal issues and fight the good fight against some strangers who appear all too familiar to Metamorpho. HIGHLY RECOMMENDED! Thank you for reading. See you next week. Welcome back, Donist World Denizens! For those of you new to our site, I’m Donist, and I am joined by Donist World CFO the Reverse Obie* (my friends’ Boston terrier whose fur recently swapped colors) and by our marketing director/administrative assistant/party planner/don't-pull-my-leg Tulip (my dog, Reverse Obie’s sister). Hello there, Denizens. Glad to have you back. Tulip and I are about to head out early today to meet up with Reverse Obie at his house before I go to a Summer Solstice party. The reason Tulip’s not going to the party is that she did something to one of her front legs and has been limping around the corporate office (Mom’s basement) ever since this morning. Thankfully, her brother agreed to keep an eye on her and make sure she doesn't do anything too strenuous. Anyhow, in the spirit of openness, I’m letting you all know that I pulled out an older Donist World entry that I wrote before I started Comics Lust, and I will definitely want to do a follow-up or two at some point in the future. So, binge watch some Luke Cage Season 2, be kind to each other, mind your health, keep your pets safe, cherish the ones you love, hydrate, and read some great comics. Thank you for reading! Ahhhh…the miniseries of the ’80s…oh, how I love thee. Whether you were alive and loving comic books like I was during the arrival of the glorious miniseries, or whether you recently came to comics, there is a treasure trove of groovy books awaiting you in the back issue bin—or in trade format depending on the popularity of the particular series. Now, Marvel was the one releasing most of the miniseries I read, but DC also had a few gems tucked away themselves. The thing that mattered most was that we had—primarily—done-in-four-issues stories that my mom would buy for my brother and me in an effort to keep us from strangling one another during long drives to a vacation destination. Her diversionary tactics brought peace to the realm of the red Ford Mustang II, and every so often brought a period of cooperation between my brother and me that was rarely seen back home. These comics were magical and having gone back to reread many of them over the past few years, they still manage to make this Donist smile wide. Okay, now this is one that we found on the spinner rack at the grocery store, and read as the issues released. This book was also much loved and it practically fell apart in our hands, which given the going price for pristine copies of this series…well, best not to think about it too much now. Man, how could you not be a fan of The Uncanny X-Men back then? Then Marvel goes and spins off this beloved character into his own story? We had to get it. Chris Claremont wrote, Frank Miller drew, and even without any crazy, tertiary-colored supervillains to be found, this series knocked it out of the park. Thankfully, there’s a trade available of this must-read mini. His costume might be a bit over the top, but I do not care in the slightest; I love it. I knew next to nothing about this vibrantly-colored, playing card-themed Jack of Hearts but he was everything I could ever want in a superhero, and with Bill Mantlo at the helm, there was much to love about this spacefaring powerhouse. I’m about due for a reread. Wait just a minute…whaaaaat?! Yup, two separate series, each with the same title. One came out in 1982 and the other in 1984, and both are a blast. Leaning more on the humorous side of things with the introduction of Herc’s wisecracking Recorder, this futuristic series at times became really, really dark. There is actually a third chapter that was released as a Marvel Graphic Novel titled “Full Circle” that you will definitely have to pick up if you enjoyed both of the miniseries. Bob Layton rocks the socks off these books. The guy who was both Captain America’s partner and also stood in as Captain America for a couple years, the Falcon, gets his own mini, and it’s all sorts of alright. And speaking of Captain America, he appears briefly as the heroes take on the menace of Electro! Hey now! I recently finished rereading this one. We get classic Hawkeye and the series co-stars Mockingbird! Lot’s of action and fun even when one of the villains happens to be Oddball. Love this! I probably should not have been reading this more adult-oriented title as a kid, what, with drugs, runaways, prostitutes, and serial killers, but gosh darn it I was a fan. I still am, which is not a difficult thing given that this mini was written by Bill Mantlo. I guess I will have to pick up the eleven-issue series that followed—also written by Mantlo, no less! Now, I need to watch the new television show. I kind of think this character is Marvel’s answer to DC’s Etrigan the Demon, only instead of a yellow and red color scheme, we have an orange and purple one. I like this series quite a bit now, but back in the day, I was a bit irked that Isaac Christians was actually an old man. Definitely worth checking out. About time DC made an appearance, and what better series than one of my favorite ’80s minis of all time. I adore this book not just for Etrigan, but because it is written and drawn by Matt Wagner of the amazing Mage and Grendel. A great story of monsters, mayhem, and intrigue. Dang, this series rocks my world today every bit as much as it did back in the ’80s. A trade recently came out that you MUST read. A couple years ago, I covered each and every issue of Marvel’s The Micronauts in a series of posts called “Micronauts Monday.” For each post, I examined each issue from the perspective of my younger self and as an adult. The Micronauts is what made me a comic book collector, and what better way to grab my attention than to mix two of my favorite series into one. Hallelujah! 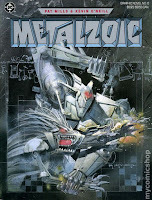 Unfortunately, because of licensing issues with The Micronauts, you will probably have to dive into the back issue bin to find it, or you can click on the link above and easily order up the series lickety-split. Holy cow! How many of my favorite miniseries were written by Bill Mantlo?!?! Dang impressive. This is the mini that got me through the massive trip to Huntington Lake back when I was a wee Donist. I read these four issues over and over and really enjoyed them again a few years ago. One hint about issue four…Who’s your daddy? It’s also your lucky day, Denizens, you can find a trade of this mini with no probs, but buying the originals will probably save you a few gold pieces if you can find them. And this is just the tip of the iceberg. There are a bunch of others out there, some I have read, some I haven’t, but whether I like the stories or not, they all have a special place in this Donist’s heart. Welcome back, Donist World Denizens! For those of you new to our site, I’m Donist, and I am joined by Donist World CFO the Reverse Obie* (my friends’ Boston terrier whose fur recently swapped colors) and by our marketing director/administrative assistant/party planner/graduation-hater Tulip (my dog, Reverse Obie’s sister). It’s that dreaded time of year, Denizens. It’s graduation weekend at UCSB, which means old people in Winnebegos driving the wrong way up a one-way street, it means trying to go out to eat anywhere is an act of futility, and it means we are effectively trapped in the confines of the Donist World corporate office (Mom’s basement). At least we have leftover pizza that I made last night, as well as some delectable beers to quench our thirst as we hunt for some new cartoons to watch. Anyhow, be kind to each other, mind your health, keep your pets safe, cherish the ones you love, hydrate, and read some great comics. It’s freakin’ great! Thank you for reading! It always felt great when my brother and I discovered a favorite toy had jumped platforms from the toy store shelves to the comic book spinner rack. Of course, we had our active imaginations that allowed us to build our own worlds for our toys, but when those worlds became more fleshed out and immortalized through the comic book page we found a more focused and coherent foundation to build upon. Our tiny sliver of worldly experience grew with every great comic we read, as did how we played with our action figures. Writers and artists gave us the idea of new monstrous foes, of impenetrable snowy mountains containing treasures within, or of a diabolically evil cult that threatened the world and needed to be brought to justice. It was through the ideas of others that we learned to have even bigger ideas of our own. Comics made our toys even more exciting way back when, and today we’re continuing our look at the toys that inspired some amazing (and perhaps some not so amazing) comics. My brother and I had many different types of Shogun Warriors toys: we had a die-cast metal and plastic Dangard Ace that could launch off its fists and head with a touch of a button; we had a three-inch-tall Combatra made of metal and plastic; and we had a five-inch Raydeen, who could semi transform into a bird. We also had the big two-foot-tall plastic Great Mazinga with its soon-to-be-lost multitude of missiles, and also the equally sized Dragun with his spring-loaded, flinging axes. These were just the tip of the iceberg, but of the many different robots that filled our closets, it was Raydeen, Combatra, and Dangard Ace that actually succeeded in making it into their own comic series. And what a comic it was, Denizens. You had good guy giant robots, bad guy giant robots, giant monsters and costumed villains that controlled them, a giant monster shaped like a hand with five heads at the fingertips, and even guest appearances by some of Marvel’s heroes. It was everything a nine-year-old boy could ever hope to have in a comic book. Now, more than anything, I want to read all 20 issues of the series; unfortunately, my dogs and time ravaged the handful of issues that we had and because of licensing issues Shogun Warriors has never been collected. I guess I’ll be joining you in scanning the bargain bins as we scrounge for these scarce beauties. Back when I was just a wee-little Donist and discovering comic books for the first time, I was also discovering the glory that is Godzilla. What is there not to like about an enormous, irradiated dinosaur that would inevitably end up fighting all sorts of funky, equally enormous monsters from earth, sea, and outer space. Heck, Godzilla even befriended a freakin’ robot named Jet Jaguar in the movie Godzilla vs Megalon. It was my absolute love of everything Godzilla that made me a happy camper the day I found my five-inch tall rubber bendy toy and the two-foot-tall Shogun Warrior branded Godzilla toy that had wheels on its feet, a lever on the back of his head that made a pretend flame tongue stick out, and a clawed hand that could shoot off at the touch of a button! You might ask, “Why does Godzilla’s hand launch off?” And I would have to say that I have no worldly idea, but let’s just say that I absolutely loved the fact that it did; the tail that always fell off, though, not so much. 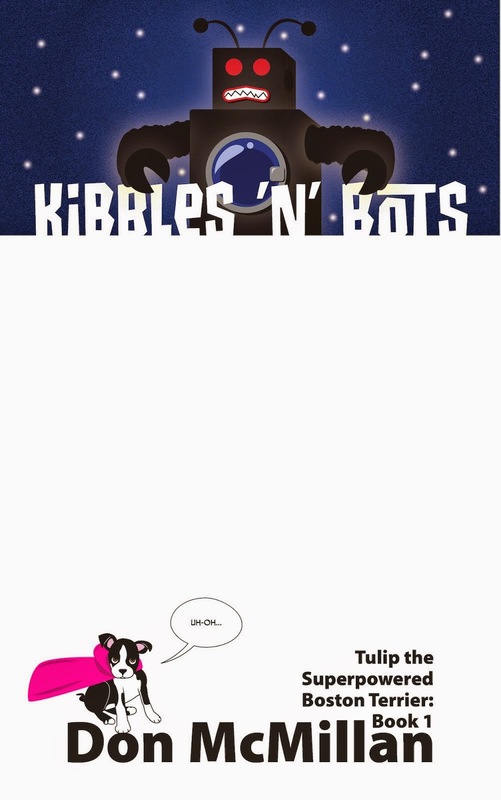 Anyhow, when the comic came out, I was coo-coo for Cocoa Puffs for the thing. Despite the first two issues being a tad on the slower side, the action ramped up with Godzilla tackling such forces as The Champions, giant monsters, giant yeti-things, giant alien-things, The Avengers, a rat (after Godzilla was shrunk down), and even some cowboys at one point. These adversaries were cool enough, but nothing got my heart beating faster than the introduction of the giant robot Red Ronin who had a shield that produced an energy blade. Let that sink in for a moment. He had a damn shield sword, son! Alas, I have nary a single issue in my collection and because of licensing issues—much like Shogun Warriors—outside of the black and white and out of print collection floating around, you have a bit of a search ahead of you to get the 24 issues in this rare series. I barely remember even having this toy, but after scrounging up some images of them, I had one of those oh, yeeeeeaaaahhhhh moments. But it was the toys that brought about the Starriors four-issue limited series, which is about…yeah, your guess is as good as mine. I did have these issues at one point in my teens, it’s just that I can’t remember a dang thing about any of it other than the fact that the Bill Sienkiewicz covers are gorgeous. It looks likes the bargain bins for me. Jeff had the good guy and his mountable beetle-like creature. I had the bad guy and his mountable spider-like creature. These toys were actually pretty dang cool. They had decent articulation, great sculpts and paint jobs, and best of all were the beasts they rode. The beetle and spider creatures were actually puppets that you wore on your hand with your middle finger used to open and close their mouths, and your other four fingers to act as legs; our dog Tippy HATED these things. Anyhow, I might actually still have the bad guy out in the storage, which is a scary place I don’t really like to visit, but I might have to venture out to see if I can find him. As for the comic...it was an eight-issue limited series that I once owned and enjoyed, then sold, and now I don’t remember a thing about it. 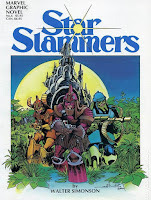 The covers look nice and now that I know Mantlo wrote the series, I’ll be darned if I don’t want to repurchase the issues to see what it was all about. Man, these were cool toys and the comics sound pretty groovy, too. I still have two biggie comic book series to talk about, but these will have to wait until next time: one concerns a movie that spawned toys that spawned a comic, and another that consisted of many comics that spawned a toy line that spawned a comic. There’s probably a couple of oddball toys/comics out there yet to be dug up as well. Happy hunting. Mister Miracle #9 (Written by Tom King, illustrated by Mitch Gerads, lettered by Clayton Cowles, published by DC Comics) Mister Miracle, Kalibak, and their respective sides meet to discuss a truce. One party offers the best of all worlds, but for a steep price. Still one of the best comics out there. VERY HIGHLY RECOMMENDED! Mage: The Hero Denied #9 (Everythinged by Matt Wagner, colored by Brennan Wagner, lettered by Dave Lanphear, consulting editor Diana Schutz, design and production by Steven Birch, published by Image Comics) Kevin continues to search for his family and no measly red caps will stop him. HIGHLY RECOMMENDED! Venom #2 (Written by Donny Cates, illustrated by Ryan Stegman, inked by JP Meyer, colored by Frank Martin, lettered by VC’s Clayton Cowles, published by Marvel Comics) My goodness, I love Venom. I love the character. I love this comic. Cates and Stegman are slaying it, and have made me a believer. VERY HIGHLY RECOMMENDED! Welcome back, Donist World Denizens! For those of you new to our site, I’m Donist, and I am joined by Donist World CFO the Reverse Obie* (my friends’ Boston terrier whose fur recently swapped colors) and by our marketing director/administrative assistant/party planner/sleep-deprived Tulip (my dog, Reverse Obie’s sister). Okay, Tulip’s already passed out on the bed, and Reverse Obie is doing the head bob as a six-inch strand of drool connects his mouth to a pool of puppy spit on the table in front of him. I think it's time for a little R&R and some sweet dreams about comics, beer, and french fries looks to be next up on our agenda. Anyhow, be kind to each other, mind your health, keep your pets safe, cherish the ones you love, hydrate, and read some great comics. Oh, and go see Deadpool 2, by golly. It’s freakin’ great! Thank you for reading! We’re all busy. Too busy, at times. Which is why I suspect many people are hesitant to dive into many of the more mainstream comic books. If you pick up a copy of that comic starring that Spider guy, you might have no idea of who various characters are, why they are acting the way they are acting, or what exactly happened to the smoldering building he’s so upset about. Sure, there’s the obligatory exposition to “bring you up to speed” but it’s just not the same as experiencing things organically. Say you wanted to be fully caught up, you would need to read the previous 12 issues, the annual from last year, three issues of another series to cover a crossover, and possibly a side book or two. Oh...you might then need to go to the 10-issue event book from a year and a half ago...and then some of the side stories that round out that experience, and then… Nah. Enough of that noise. Today, we’re going in, admiring the sights, and coming out clean. Here are some more comics that end in 12 issues or less and that require no prior knowledge, only a desire to experience new characters and to enjoy a story with a dang beginning, a middle, and an end. The good thing about coming to a series late is that you can binge read a good chunk of it in one fell swoop. Which is what I did with this Donist World Darling of a comic. Originally a twelve-issue series that began in 2017 and ended in 2018, I bought the first trade earlier this year and completely fell in love with this beautiful-yet-harsh comic book. The absolute worst part of finishing this trade was the painful two-month wait for the final volume to drop. If you take a pinch of Mad Max: Fury Road and a pinch of Nausicaä of the Valley of the Wind and mix it with the brilliance of Johnson’s pacing, characterization, storytelling, character acting, and monster design, you have one of the best damn comics I have read so far this year. Extremity follows Thea of the Roto after her clan is viciously attacked by the Paznina who kill Thea’s mother and brutally destroy Thea’s reason for living; they also steal the Roto’s floating home, leaving what’s left of the tribe to wander for survival. There are monsters, robots, intense battle scenes, and perfectly timed flashbacks that eventually fill all the gaps intentionally placed within this captivating tale. The first trade left me thrilled and desperate to see how it all ends, the second volume did not disappoint in the least. 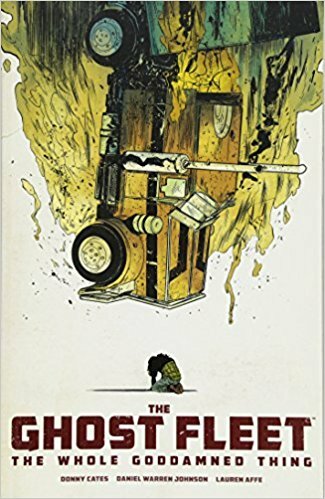 Kinship, survival, horror, tragedy, revenge, and the oppressive weight of escaping a never-ending cycle, Extremity is one the best things I have ever read and is one that will forever be on my annual reread list. When you hear Alan Moore’s name, the comic that first comes to mind is usually the industry-defining Watchmen, but fans of the influential author will be quick to point out that you should quickly follow that great work with V for Vendetta…and Saga of the Swamp Thing…and Miracleman…and a whole mess of other books as well. In V for Vendetta, Britain’s citizenry is under the constant watchful eye of the ruling, fascist regime, but when all hope seems lost, a stranger in a Guy Fawkes mask blows up Parliament and starts to bring about the change Britain so desperately needs. Moore’s thorough storytelling and intense mood coupled with Lloyd’s haunting illustrations made this a terrifying cautionary tale back when I first read it in the ‘80s. This is Moore’s version of the novel 1984 and is—sadly—all too relevant today given what is currently happening in our own country. You absolutely need to read this masterwork, but I’m going to warn you: you won’t be smiling for much of it. I’m sure this one has ticked off some of the more…sensitive…types. Heck, the name of the book alone is enough to have some calling for a ban, if not a full-fledged book burning. But they should read the work first, before...uhhhh...before...actually, that will tick them off even more. Screw ‘em, they need a hobby. Money talks when an insanely rich television network, Ophis, strikes a deal with the Catholic Church to obtain DNA from Jesus Christ so they can clone him and air a reality show called J2. J2 star Chris and his bodyguard, ex-IRA member Thomas McKael, as well as Chris's ever-troubled mother, are all in the public eye, and J2 is, in fact, the most-watched show of all time, although it is not without its detractors. Once Chris catches a glimpse of the real world—poverty, war, consumerism, fanaticism—the world Ophis wishes to keep hidden from him, he discovers his true purpose and the best way to deliver his message: punk rock music. A great, powerful, black and white story that is certain to entertain as well as make you think about where our world might be headed. To be honest...I don’t really remember what this one is about as it has been over ten years since I last read it, which means it’s about time for a reread. What I do know is that I absolutely loved it at the time. I remember there is a police detective who investigates a murder and he stumbles across some evil, creepy-as-hell, vampire-looking creatures, but unfortunately, that’s about all I remember. This one has fast-forwarded up my “to read” pile, especially after I was reminded that Frank is the one providing the art. I’m excited to see if it stands up to the test of time, but considering my love of Straczynski and Frank’s Supreme Power, I’m pretty sure it will. We’re plum tuckered out, Denizens, so the puppies and I are calling it quits for the day and are planning to take a much-needed, team-building nap. I will say, that of the five new comics I picked up this week, The Immortal Hulk #1 (written by Al Ewing, illustrated by Joe Bennett, published by Marvel Comics) was pretty different…different, but cool. Until next week! Welcome back, Donist World Denizens! For those of you new to our site, I’m Donist, and I am joined by Donist World CFO the Reverse Obie* (my friends’ Boston terrier whose fur recently swapped colors) and by our marketing director/administrative assistant/party planner/Frisbee freak Tulip (my dog, Reverse Obie’s sister). Wow...I totally passed out there for like half an hour…maybe longer. Tulip and Reverse Obie are still sacked out, but I’m sure they’ll begin to stir when I crack open a nice, cold, hazy IPA from Modern Times. 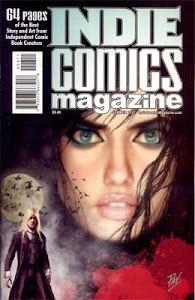 Before I do that, however, I got more comic book goodness to tell you about, so please have a look. Anyhow, be kind to each other, mind your health, keep your pets safe, cherish the ones you love, hydrate, and read some great comics. Oh, and go see Deadpool 2, by golly. It’s freakin’ great! Thank you for reading! Going back and digging up all of my old graphic novels from the ’80s has been a blast. Taking them out of the foreboding closet of doom not only reminded me of many that I had forgotten I ever owned, but also sparked a need to read some that I was never able to buy at the time, while my research uncovered a bunch I never knew even existed. Today, we’re looking at two more I have read and highly recommend, as well as creating a quick-fire hit list of some I desperately need to track down. Sometimes you come very late to the party. Still, you get there, have a great time, and really solidify the event in your memory, but even though you might think thank goodness I made it there, you will always have that nagging afterthought of I wish had been there right when it all started. Such is the case with X-Men: God Loves, Man Kills; I read it for the first time last week. The book explores many of the themes for which X-Men comics, animated television shows, and movies have long been known: the persecution of mutants because they are different. After two mutant children are murdered by members of Reverend William Stryker’s secret militaristic group of religious extremists, Magneto investigates what happened. Meanwhile, the X-Men are out on the town and encounter some anti-mutant douchebaggery that sets them all on edge. It isn’t until Professor Xavier, Storm, and Cyclops are seemingly killed in a car accident that Magneto arrives to tell Kitty Pryde, Colossus, Wolverine, and Nightcrawler that all might not be as it seems. This is a fantastic, iconic story and one that all fans of the X-Men must read at least once in their lifetime. Anderson’s art is beautiful and fittingly dark to reflect the mood of the story, and Claremont gives us a powerful, allegorical tale about the regressive wrongness of racism/sexism/homophobia/xenophobia/you name it and of the perils of religious zealotry and hypocrisy. 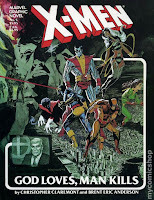 Given the current political climate in our country, it is even more troubling that three and a half decades after its release this book continues to be a reflection of the worst parts of our society, which makes X-Men: God Loves, Man Kills an even more important read for the times. I cannot properly tell you how thrilled 16-year-old me was to get this graphic novel for Xmas. I remember seeing it on the shelves of my LCS and in various ads within Comico’s amazing Elementals (Everythinged by Bill Willingham) comic, but I finally owned it and fell in love with Wagner’s work right then and there. 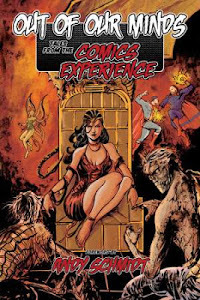 Now, I realize that this graphic novel is not an “original” graphic novel and was actually serialized as a backup story within the pages of the must-read Mage: The Hero Discovered #6–14, I still count this as part of the group because of the 8 ½ in. x 11 in. format and the 48 pages that allowed the collection to be featured prominently alongside the best that Marvel and DC had to offer. The book tells the story of Hunter Rose, a hugely successful author who, unbeknownst to the world is also the masked crime boss Grendel. The fearsome Argent, or “The Wolf” as he is known because of his startling appearance, is tasked with bringing Grendel down. What continues to make this book so near and dear to my heart is the gorgeous Art Deco style that inspires Wagner on every page and the lack of word balloons and captions that have been replaced by lengthy blocks of text that are in no way cumbersome and that succeed in making my beat-up, much-loved copy of this masterpiece one of my most prized possessions; I also adore the unique air-brush-style coloring Wagner painstakingly uses throughout. There are many ways to read this story: 1) within the original pages of Mage: The Hero Discovered #6–14; 2) in this gorgeous graphic novel (my choice! 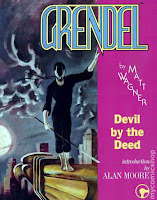 ); 3) in the 1993 Darkhorse reprint that was recolored by Bernie Mireault; 4) the 2007 Darkhorse hardcover that was recolored again only this time in black, white, and red; 5) finally, in the smaller form factor Grendel: Omnibus Vol. 1 that features the black, white, and red coloring. Regardless of how you acquire this story, just be sure you read it! 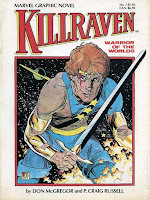 I own this one, and I am excited to read it, I just want to get fully caught up on the character of Killraven in the pages of Amazing Adventures before cracking into what is certain to be a visually stunning experience. I read a bunch of Killraven stories back in the day and this sword-wielding, futuristic hero has me once again excited to dive back in. Okay, this one has a complicated publishing history if you want to get the whole story but it is one I desperately need to read as soon as possible; Starlin, baby, I just gotta read it. Okay, this graphic novel is part three of the “Metamorphosis Odyssey.” Part one occurred in the pages of the sorely missed Epic Illustrated magazine. Part two jumped over to publisher Eclipse Comics for The Price. 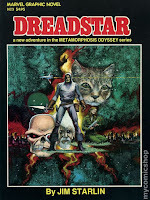 The third volume, this graphic novel, occurs at the same time as The Price and the final pages supposedly bring the two stories together before Vanth Dreadstar appears in a short story for Epic Illustrated #15, which leads into Starlin’s run on the ongoing Dreadstar series, which I thankfully have read. I need to go back and check out the entire “Metamorphosis Odyssey” which I hope to do soon in the easy to obtain Dynamite collection. What is this about? I have no idea. What I do know is that it is sci-fi Simonson and that I can get the graphic novel, the first four issues, and the concluding special all in one hardcover edition. Starlin. Wrightson. They had me with either of those names. I don’t think this has been reprinted in any other format, which kind of bums me out as this one might be a bit pricey to obtain. I still kick myself for not picking this one up back when I first saw it. Seriously. Why did I not buy this? Surely, I was flush with cash from my KFC job...who knows. 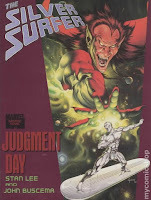 The Silver Surfer and Mephisto?! All I know is that I need to somehow get ahold of this ASAP. Denizens, I’m fried. Not only did I slip into a taco and beer induced sleep after lunch, I just never really fully woke up. No regrets, though, the Norteño taco (steak, beans, guacamole) and the Chorizo con Papas (chorizo, potatoes, blue corn tortilla) and chips and guacamole with at Corazon Cocina are the best things on the planet. Anyhow, what I’m trying to say is that I’m going to keep this short. All three books listed below come VERY HIGHLY RECOMMENDED! Doomsday Clock #5 (Written by Geoff Johns, illustrated by Gary Frank, colored by Brad Anderson, lettered by Rob Leigh, published by DC Comics) Man, I am still completely loving this Watchmen follow up that hits all the right buttons. If only the wait between issues wasn't as long. Oh well, I can’t wait to read it all in one go once the series wraps with issue 12. Thankfully, we have a ways to go. Descender #30 (Written by Jeff Lemire, illustrated by Dustin Nguyen, lettered and designed by Steve Wands, published by Image Comics) Descender continues to be a thrilling space opera journey across the cosmos as a meeting I’ve been hoping for since the first arc finally happens; I’m pretty sure the robot war might serve to ruin everything. Lovely, tense, heartfelt, Descender remains one of my favorite books on the stands. Nguyen’s watercolored art is otherworldly. Saga #52 (Written by Brian K. Vaughan, illustrated by Fiona Staples, lettered and designed by Fonografiks, published by Image Comics) A weak issue of Saga is merely very good compared to other comic books. But when an issue is great—which it usually is—you are left laughing out loud, devastated, grossed out, emotionally elevated, or some combination thereof. This is a dang fine issue that reminds me of how great this series is. I do, however, expect us to go into the “devastated” range of emotion in the next issue or two. Oh, boy, things are going to get rough.